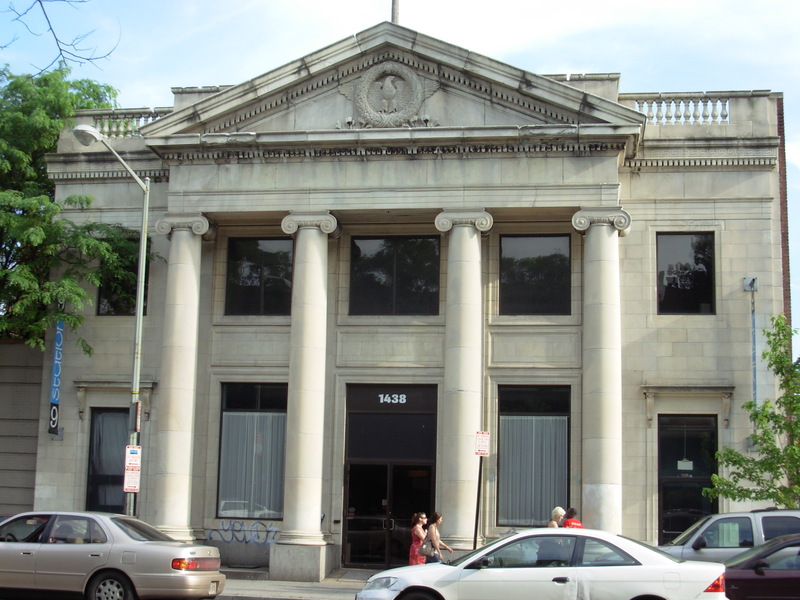 CityBizList has the details on the real estate acquisition of the old Station 9 building on U street and 15th. So yes, I am so happy to say the space is finally closed. Rock Creek Property Group has acquired the building, it took almost a year, and now they are working to redevelop the space, possibly for retail or office use. No word on when renovation will start or when the space will be ready for tenants, but I’ll keep an eye out and report on any news. I haven’t had a chance to stop in, but noticed that 24 Seven is back open, after they closed over a month ago for renovations. I know a lot of people were worried that they were closed for good, so I’m glad the talk that they were just closed for renovations was true. Prince of Petworth has more shots of the new inside if you’re interested. I noticed this weekend that work has started on the long vacant building at 13th and W. Prince of Petworth speculated that there might be some kind of bodega-type business coming to it, but the building permit designates it as a residential (multifamily) space. As you can see in the above picture, the building permit is for removing deteriorating roof materials, reinforcing rafters, and installing new roof decking. The owner is listed as Selma Blitzstein Trust, which through a Google search came up as the owner of the property via tax records, and not much else. And interestingly, the building permit expired last July, but I’ve seen no work on the building in the past 2 plus years. I’ve noticed previously that other establishments have been operating with expired building permits, so I don’t know if it’s just the way things go. 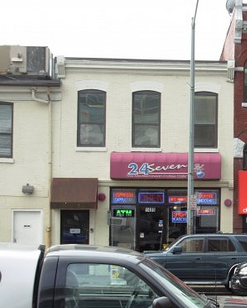 Prince of Petworth mentioned last week that the building next to Marvin, at 2001 14th street, is going to be Patty Boom Boom, when before, he and others, had reported that a building around the corner, at 1359 U street would be the location. I went back to the two buildings and checked out their permits to see what I could find out. 1359 U street will be Patty Boom Boom, according to the permit on the window. The building permit is for demolition. The owner of the building is listed as Yama Jewayni, a co-owner of Marvin (scroll down on link for article on Marvin), which makes sense as many have reported Patty Boom Boom as coming from the owners of Marvin. The building around the corner, at 2001 14th street, is listed as being owned by Thomas Tsianakas, long the owner of the property going back to when it was a Burger King. The building permit is listed for a 2 story addition as well as renovation to the existing building. So, problem sort of solved: these buildings are owned by two different individuals and apparently seem to be unrelated. However, I have another question, while inspecting the building permits I noticed that both had expired, yet construction appears to be on-going. The one on 2001 14th street expired in 2007 and the one on Patty Boom Boom’s location expired in 2008. Anyone know how that’s possible or is it illegal? I’ve long loved the abandoned building at New Hampshire and S, it’s very beautiful old building, and was majestically deteriorating. Most recently, it used to be the Embassy of the Republic of Zaire. From what I understand, the staff for the embassy for the Democratic Republic of Congo (former Republic of Zaire) were forced to vacate the building because it was in such poor condition. The building was also on DC Preservation’s list of the most endangered buildings in 2008, and they give a lot more history into the building (PDF). It was the mansion of Joseph Taylor Arms, a banking and financial figure in the late 19th and early 20th centuries. The architectural firm of Hornblower & Marshall designed the building. They also designed, among other buildings, the Phillips mansion where the Phillips Collection now lives and the Smithsonian Museum of Natural History. Walking by the other day, I saw that it is being renovated, with construction crews doing work. It’s unclear if the Democratic Republic of the Congo, the last known owner of the building, is doing the construction. A sign informed me that the Levine Group was responsible for the work. Their website reveals that the work they do seems to be all residential, making me feel like they will be renovating the building into either condos or apartments. I don’t have confirmation on that, though. I’m glad to see something done with the building so that it’s no longer in neglect. I just hope they preserve the facade of the building as it is so beautiful. It would also be a pretty cool building to live in.